WWF’s annual Run for Wild fundraising event was designed for anyone and everyone with a passion for running and an interest in sustainable living, climate change and protecting wildlife species. This year’s theme was “Race Against Extinction”. Event participants were asked to select from six species threatened with extinction. For example, either a: panda, tiger, green turtle, black-faced spoonbill, Chinese white dolphin or shark, in order to represent one of these endangered animals during the race and raise awareness to the animal’s plight. We were truly honoured to be invited by WWF to participate in the event and provide giveaway products to the runners. 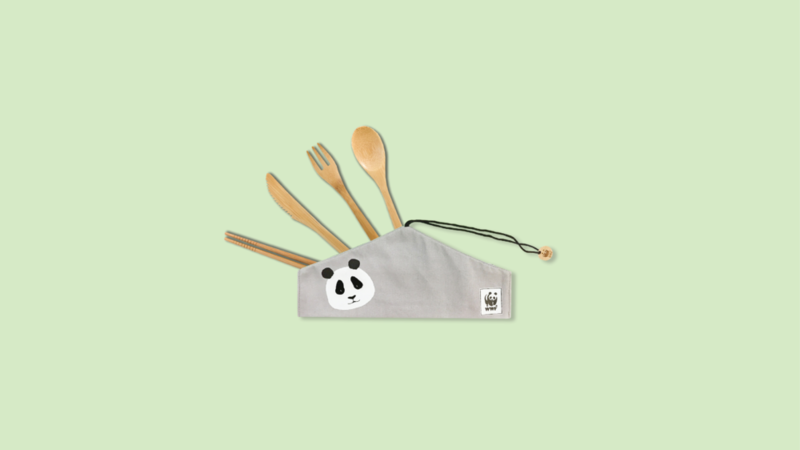 We decided to create a set of eco-friendly reusable cutlery, and the finished products were made from natural degradable bamboo with designs illustrating the different endangered species printed on the pouches. We hope that these wildlife souvenirs can help start conversations on those endangered animals and what people as a community can do to combat their impending extinction.